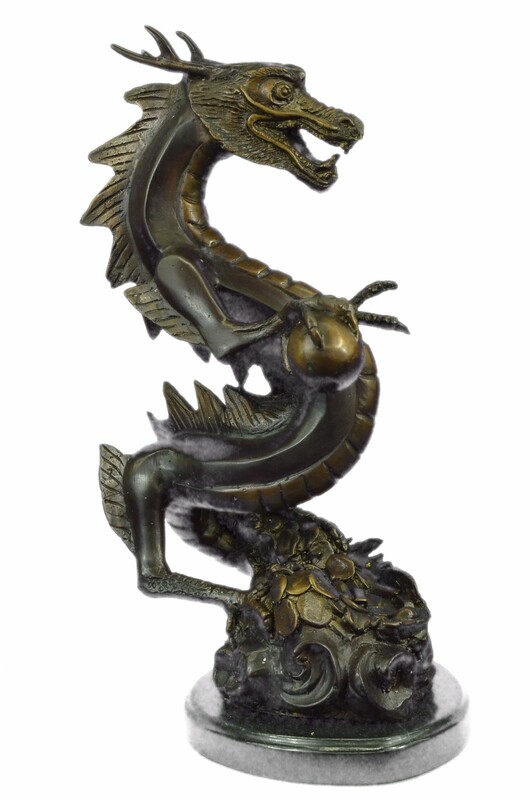 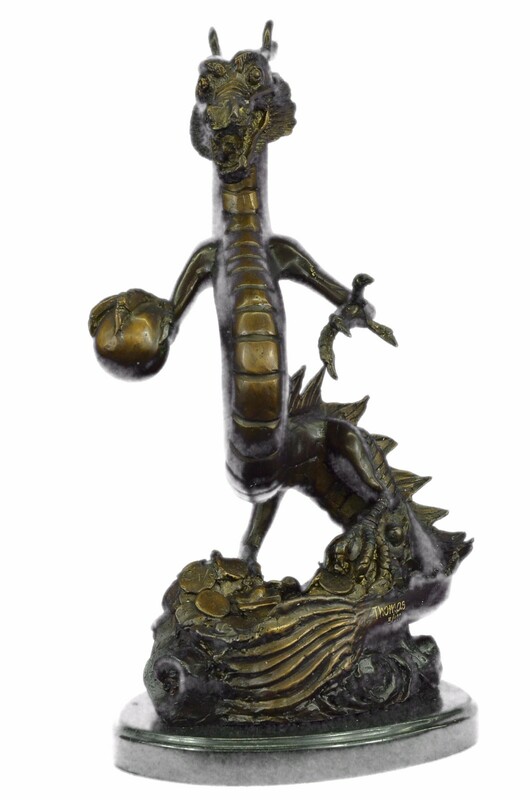 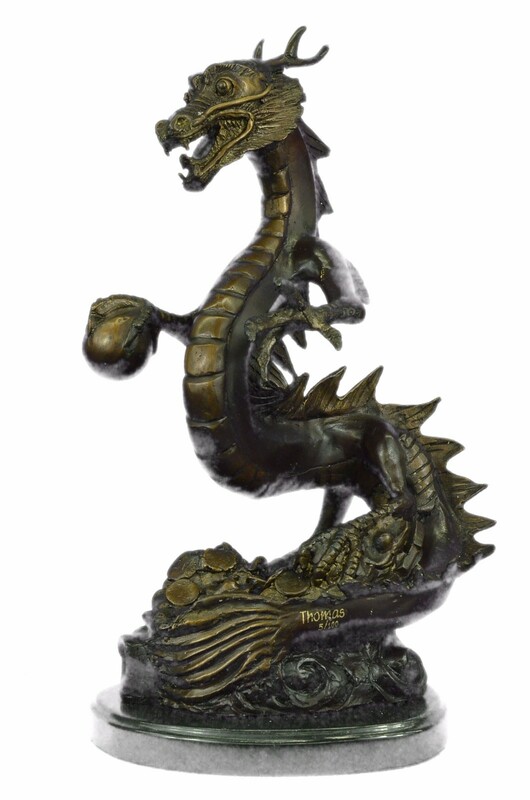 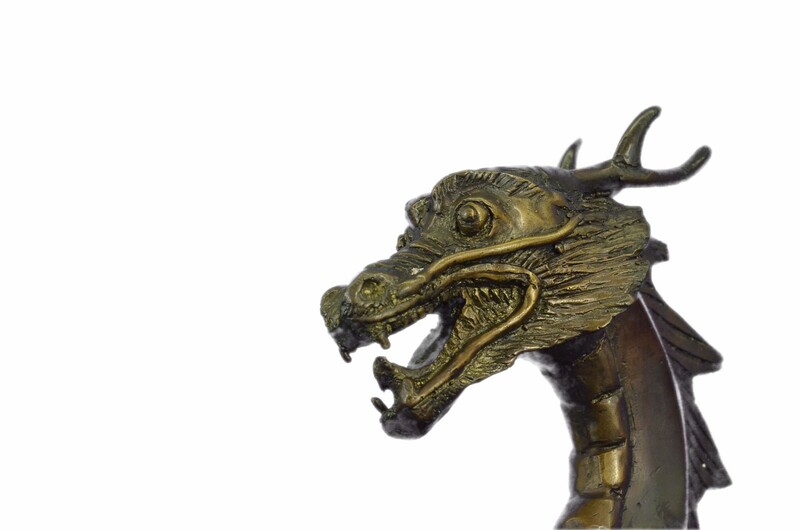 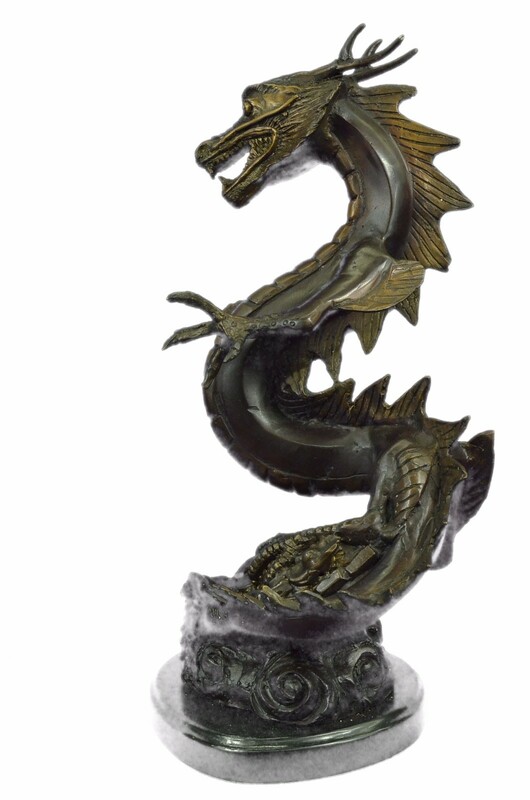 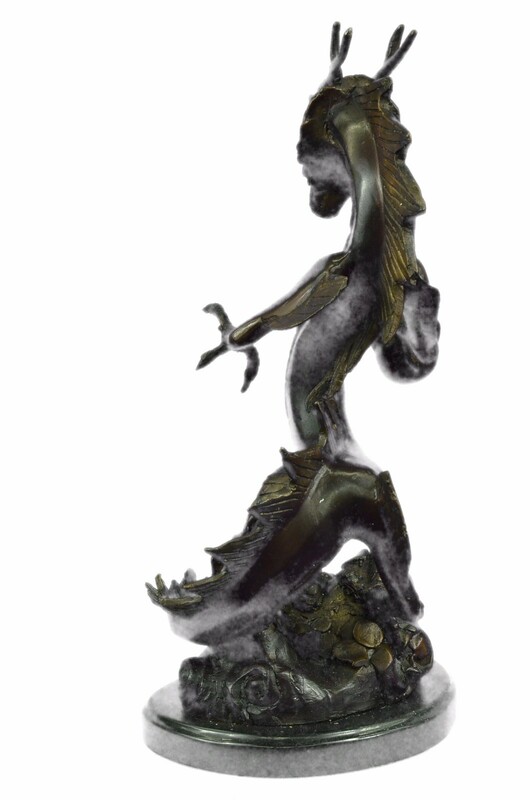 This Large Dragon Sculpture Statue/Feng Shui Cure Is Made Of Solid Bronze And Wonderfully Crafted With Lifelike Details. 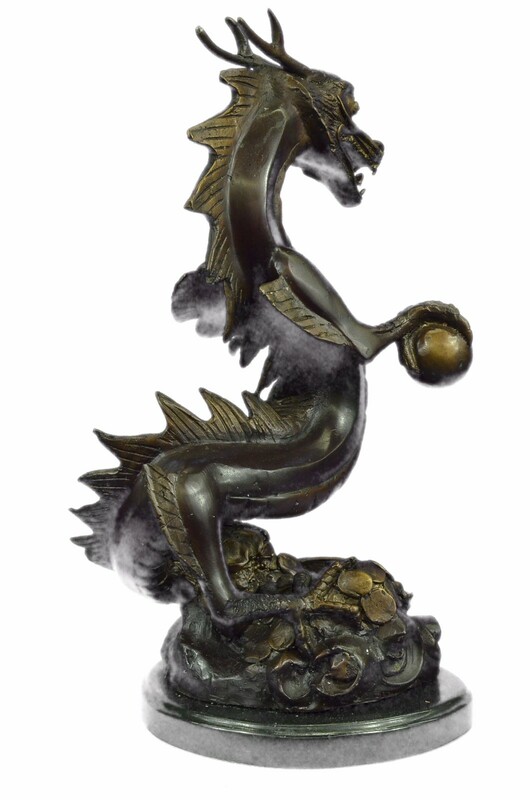 Oriental Dragon Is A Symbol Of Power, Strength, Good Luck And It Will Make A Great Home/Office Decoration. 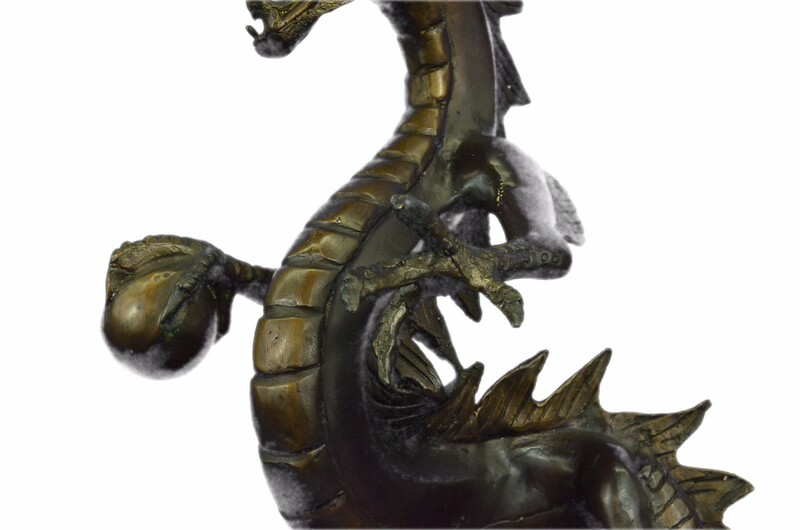 In "Yin Yang" Terminology, A Dragon Is A Powerful And Auspicious Traditional Feng Shui Cure And A Symbol Of Strong Yang (Male) Energy. 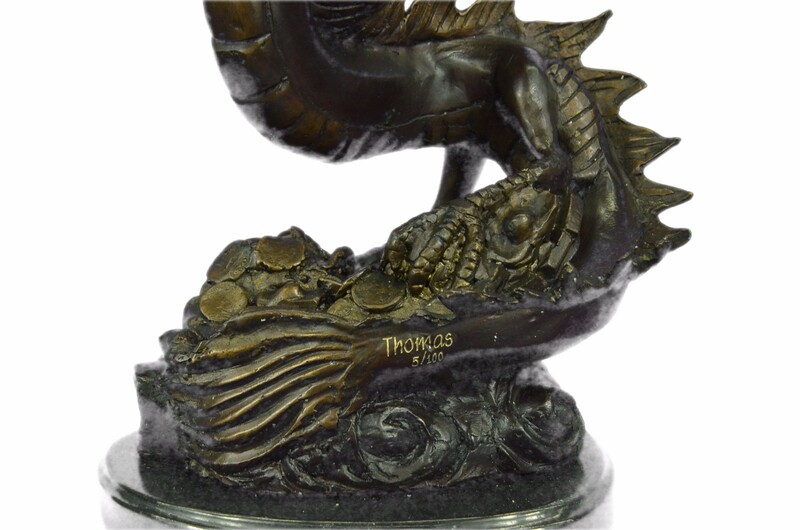 100% Bronze And Handmade, This Limited Edition Brown Patina Sculpture Was Cast Using The "Lost Wax Method" And Mounted On A Marble Base And Is Signed By Artist Thomas.